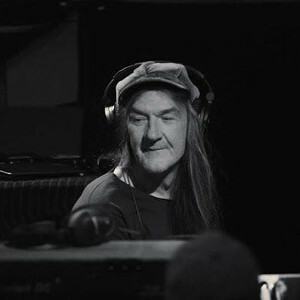 Former Black Crowes keyboard player Eddie Harsch has died at the age of 59. A cause of death has not been revealed. Eddie joined The Black Crowes for their second album, The Southern Harmony and Musical Companion. It became the band’s sole number one album. Harsch was born in Toronto, Canada on May 27, 1957. He replaced original keyboard player Rob Clores, who played on the first Black Crowes album and was replaced by Adam MacDougall after the 2001 Lions album. Harsch was a member of the bluesman James Cotton’s band before joining The Black Crowes. When the band went on hiatus in 2002 he played with garage rock band Detroit Cobras. Earlier this year formed The Magpie Salute with former Black Crowes member Rich Robinson. It is with the saddest of hearts that we bid farewell to our dear friend Eddie Harsch. Eddie was a brilliant musician, with a beautiful heart. We should remember Eddie for his music, his great sense of humor, and his positive outlook on life. We ask that everyone please respect the privacy of Eddie’s family at this time. Let’s honor him by celebrating his musical contributions to the world, and by sending positive thoughts and prayers to him and his family. Our hearts will forever remain with our musical brother.